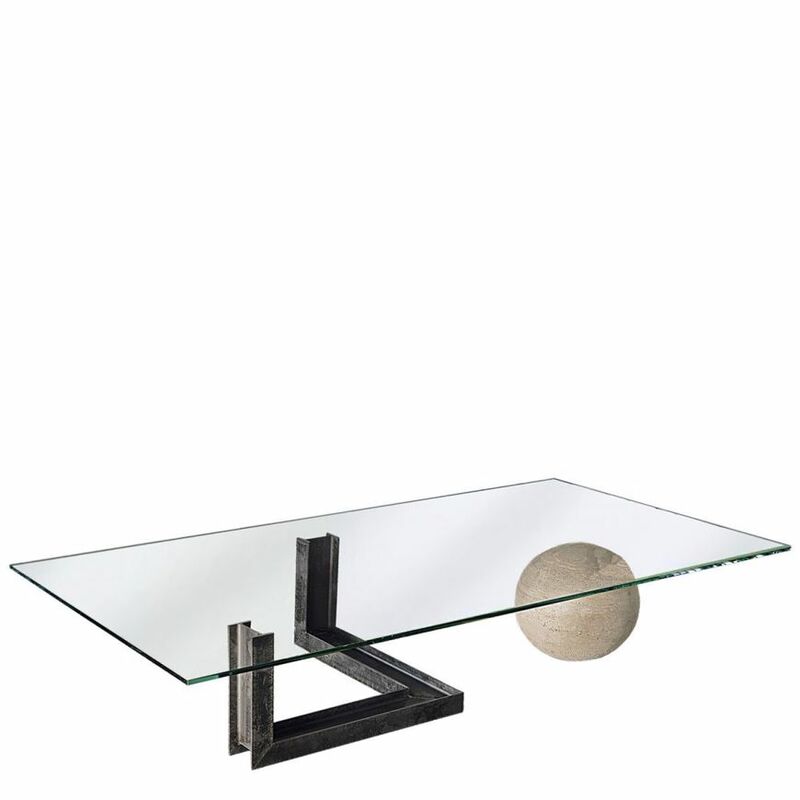 The LEVANTE collection, by CATTELAN ITALIA, is a set of contemporary, industrial Italian coffee tables. 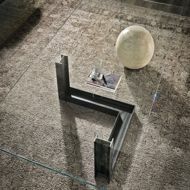 The base is done in two parts, one side is a rather industrial beam done of ferrous material and the other is a travertine sphere. This play on nature and industry is done in both shape and material and the whole thing is topped off with glass. Needless to say, these modern tables would be a welcome conversation piece in any home.